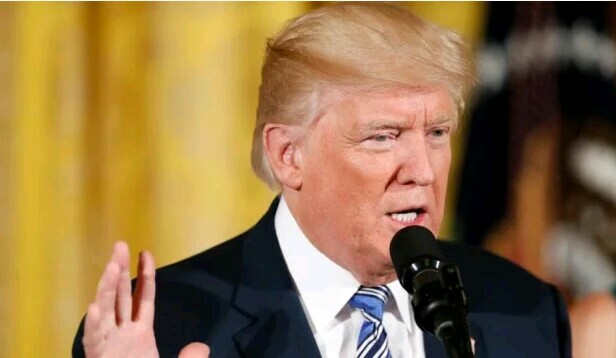 President Trump on Wednesday signed a bill imposing sanctions on Russia, after the legislation overwhelmingly passed the House and Senate. The stiff financial sanctions were championed by lawmakers in both parties, and Trump’s signature could escalate tensions with Moscow — which already has ordered a reduction in the number of U.S. diplomats in Russia. The bill itself targets Iran and North Korea as well as Russia. “In its haste to pass this legislation, the Congress included a number of clearly unconstitutional provisions,” he said, outlining numerous alleged constitutional conflicts. Vice President Pence, in an interview with Fox News during a visit to Montenegro where he is meeting with allies, said despite the president’s concerns the legislation highlights his commitment to holding these nations accountable. “President Trump believes whatever frustration that we feel for Congress limiting his authority … that, on balance, this legislation reaffirms the president’s strong commitment to ongoing sanctions with Russia, to make it clear their destabilizing behaviors are not acceptable to the United States, and that ongoing provocations from North Korea and Iran will no longer be acceptable,” he said. The Senate passed the bill, 98-2, two days after the House pushed the measure through by an overwhelming margin, 419-3. Both were veto proof numbers, upping pressure on Trump to sign the legislation. Signing a bill that penalizes Russia’s election interference would mark a significant shift for Trump. He’s repeatedly cast doubt on the conclusion of U.S. intelligence agencies that Russia sought to tip the election in his favor. And he’s blasted as a “witch hunt” investigations into the extent of Russia’s interference and whether the Trump campaign colluded with Moscow. In recent days, though, Trump has suggested he’s tougher on Russia than many believe. Fox News’ Kristin Fisher and The Associated Press contributed to this report.